Need more recipes? Here is the ANSWER what you want! 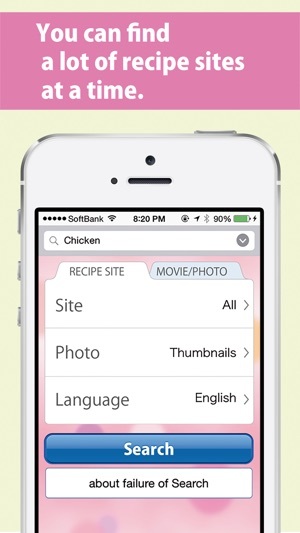 Recipe Search for iPhone can search recipes from web sites throughout the world. 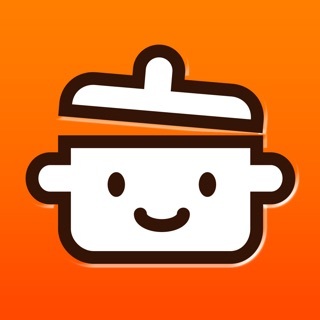 Recipe Search is an App that allows you to find the recipes from recipe site a lot at a time. 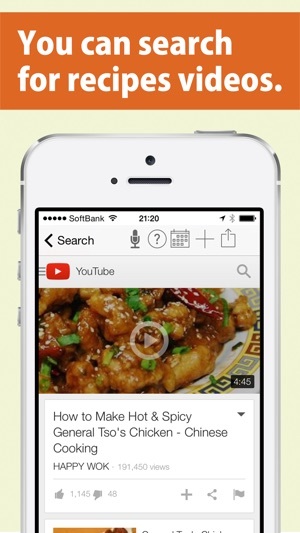 It is able to search for YouTube recipe videos. 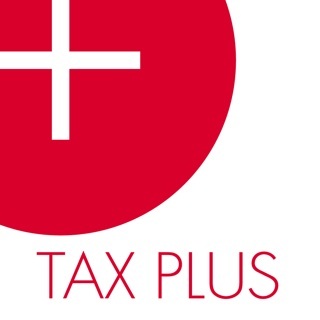 It enabled it to choose the language of a search target site. Please register a tag from a setting first. 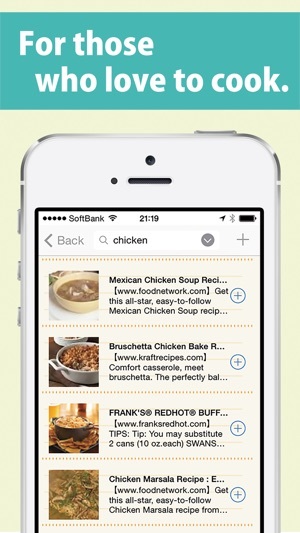 You can launch Recipe Search with the custom URL scheme from Safari and Other Apps. Added link to the assistant service to view web pages designed only for PC. Please push an upper right arrow on a recipe page. And, Choose "Open with Instapaper". We added the voice control capability in the recipe page. 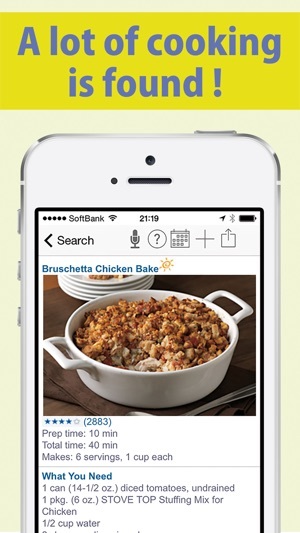 With your voice, RecipeSearch operates zooming and panning . 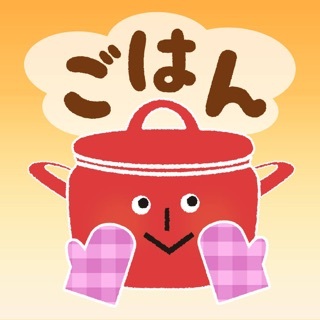 Even when your hands are wet and/or dirty in the kitchen, you can operate the screen on your iPhone without any touch! *The commands available for operation are: UP, DOWN, LEFT, RIGHT, LARGE and SMALL. 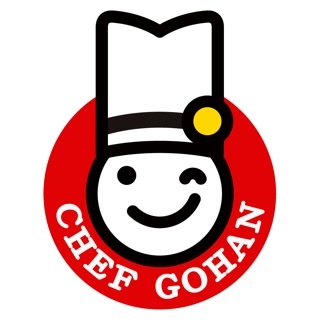 Searching recipes with various type of keywords, such as recipe name, season, methods of cooking and/or kitchen utensils, as well as food ingredients. When you have beef and onion( in the refrigerator), Please enter 'beef onion', then click Search button. 1.To begin with, try to search with various key words you are looking for. 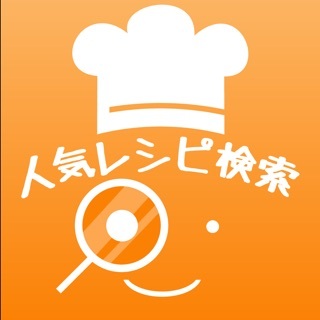 2.Cheking the search results、the recipes that you are interested in can be registered in Book Mark using [+] button. 3.After looking over the search results, transfer to Book Mark and browse details of the recipes you register..
4.You can delete recipes from Book mark, when they becomes not necessary. 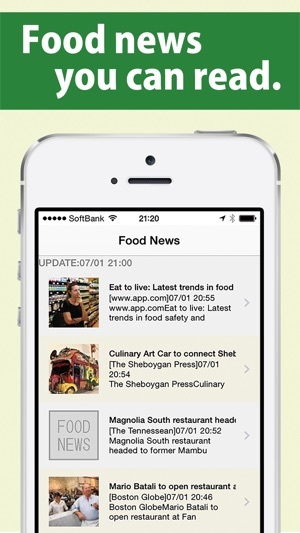 5.You can register recipes in Book mark as your favorite ones, and easily possible to access recipe web page later. Internet Connection via WiFi( recommended) or 3G is required. * Disclaimer of Liability and Warranties. 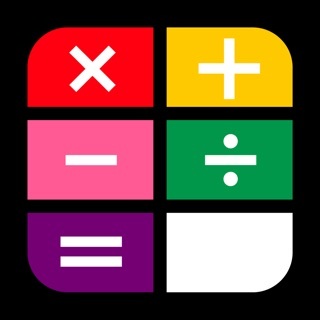 RECIPE SEARCH FOR IPHONE (hereinafter called 'THIS APPLICATION'), DESIGN ARE PROVIDED "AS IS" AND WITHOUT WARRANTIES AS TO PERFORMANCE OF MERCHANTABILITY OR ANY OTHER WARRANTIES WHETHER EXPRESSED OR IMPLIED. NO WARRANTY OF FITNESS FOR A PARTICULAR PURPOSE IS OFFERED. THE USER MUST ASSUME THE ENTIRE RISK OF USING THIS APPLICATION. 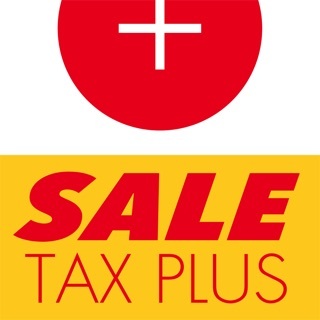 TaxPlus JP - Enjoy your shopping in Japan!